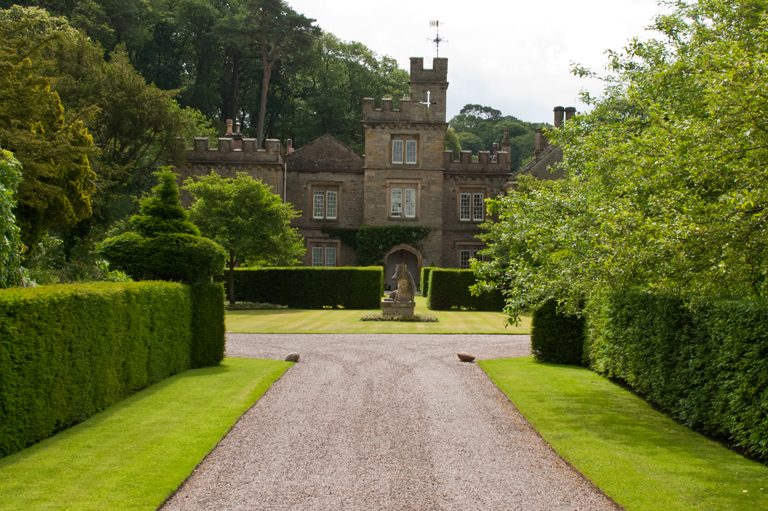 A few weeks ago I went up to Lancashire for a special event at Arabella Lennox-Boyd’s house and garden, Gresgarth Hall. She opens the garden regularly to the public but this event was to raise money for the new garden design archive at the Garden Museum in London. I couldn’t possibly cover everything in one blog post so I thought I’d split it into two parts. In part one I am going to show the pictures I took of the amazing house and tell you a little bit about it. 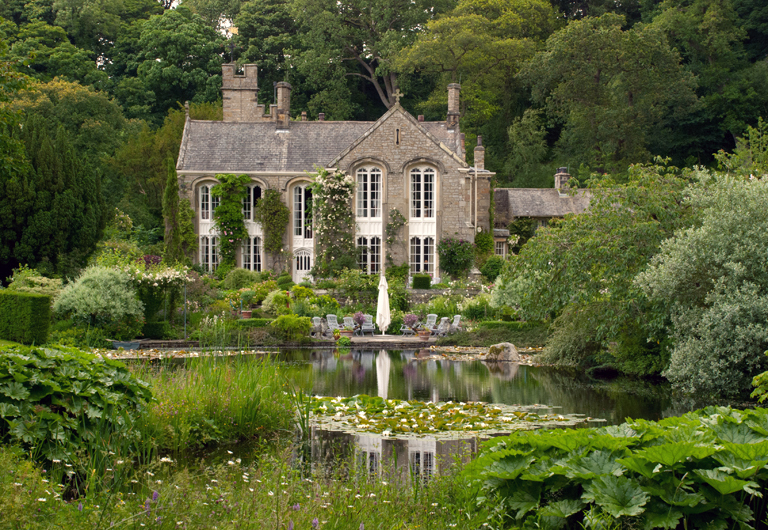 Isn’t the view across the lake to the back of the house just wonderful…picture-postcard perfect English country manor. There has been a pele tower at the house for many years and it is believed to have been built as far back as 1330 by the Curwen family. The house has been changed several times over the years and the bay window overlooking the river at the back of the house is thought to date back to the eighteenth century. 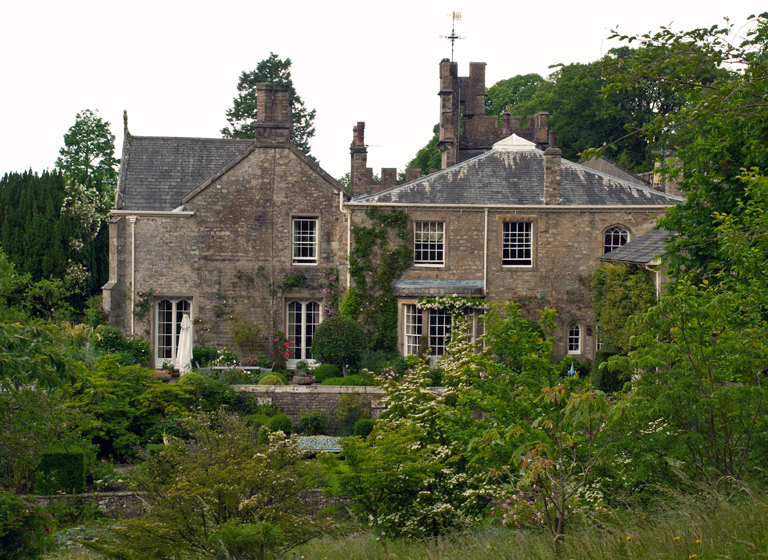 The most major change to the house took place between 1805-1810 by Thomas Edmondson when it was enlarged and given its current Gothic appearance. The garden back then was landscaped in the romantic style and many of the trees that remain today were planted by his descendants. 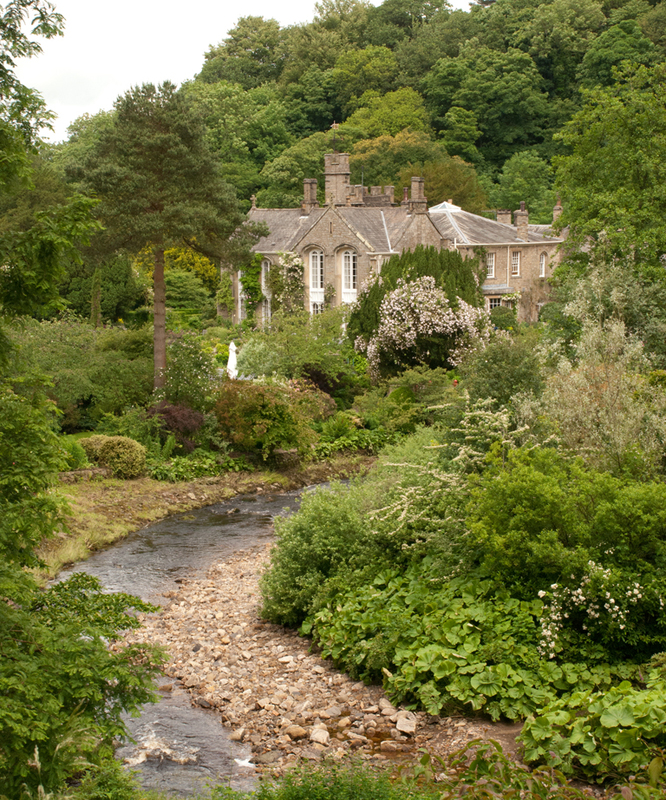 The garden is vast with the more formal terraced areas near the house, the lake and the informal landscape beyond the river and up on the hillside. 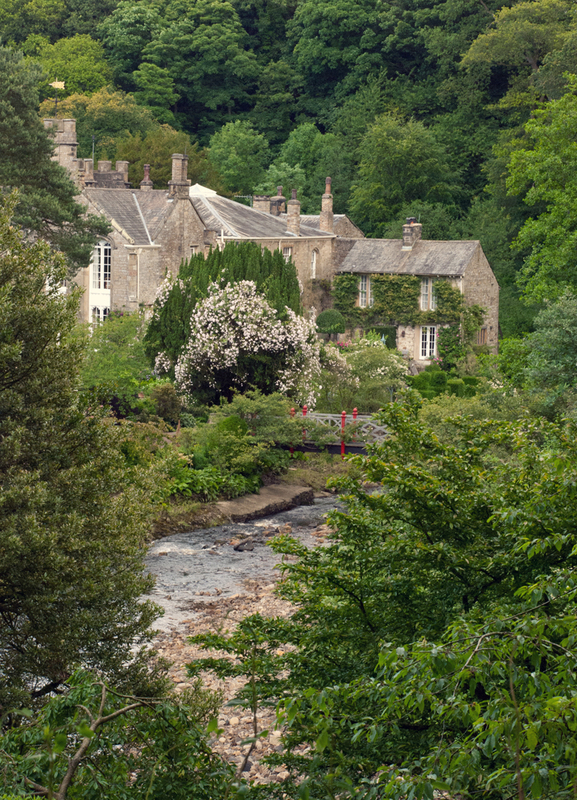 As you moved away from the house the garden still remained attached to the house, even up on the hillside across the river where the view became more spectacular the higher we climbed. 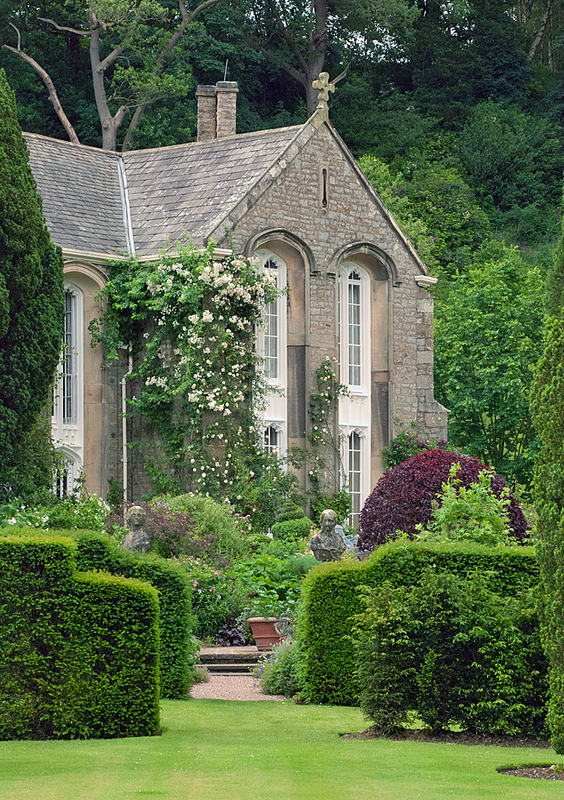 What an amazing landscape to work with, and such a beautiful house, why wouldn’t you want to be able to see it from every corner of the garden. I have visited many gardens over the years, some of which have been truly stunning, but there are few that I think have that little piece of magic that makes them that little bit more special. Gresgarth Hall is formal and structured but with an informal feel that means you can relate to it in the same way as you would if it was your own. It’s pretty perfect without being manicured and it is completely in tune with the amazing house and surrounding tree-lined hills. Later on this week I’ll share my pictures of the garden, but I felt that the house deserved it’s own piece of the limelight too!